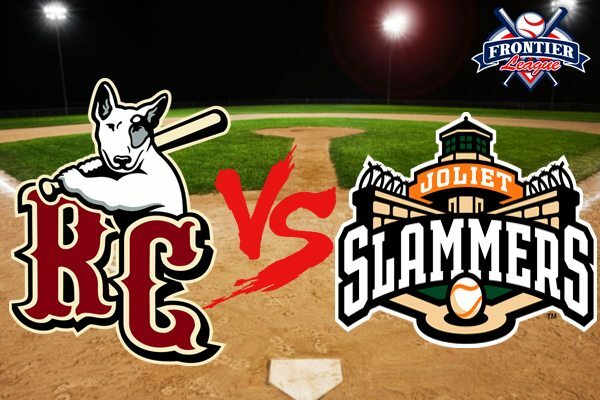 O’FALLON, MO–Despite a valiant effort, the River City Rascals saw their season come to an end on Sunday night, losing Game 5 of the Divisional Series matchup to the Joliet Slammers 6-0 at CarShield Field. Liam O’Sullivan (1-1) pitched 6 2/3 scoreless innings for the Slammers, walking two and striking out four in the victory. The game was a tight pitcher’s duel until the fifth, when the Slammers struck for three straight hits, including an RBI single from LJ Kalawaia. Danny Zardon, who hit the go-ahead two-run home run to win Game 4, had a monster three-run blast in the seventh to make it 4-0 Slammers. Joliet added two more runs in the eighth, including an RBI single from London Lindley, his third hit of the game. Cody Clark picked up the save, recording the final five outs of the game and striking out four. Four of the six Rascals hits were doubles, with JD Hearn, Trevor Achenbach, Ransom LaLonde and Mike Jurgella each picking up a two-bagger. The team left eight runners stranded on base, including five in scoring position. Jonny Ortiz (1-1) took the loss, allowing just one run in four 2/3 innings of work, walking two and striking out three. The Slammers move on to play the Washington Wild Things in the Frontier League Championship Series beginning Tuesday, September 11th at Wild Things Park in Washington, PA.